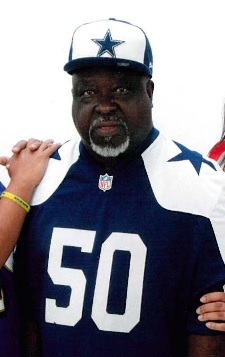 Mr. Harold Williams, 68, passed away on Thursday, January 17, 2019 at his residence in Fayetteville surrounded by wife and daughters and granddaughter. Harold was born in Birmingham, Alabama on May 5, 1950, the son of the late Samuel Williams and Anna Robinson Williams. He enjoyed watching western movies and shopping at Walmart. He is survived by his wife of 36 years, Marliese Wolf Williams, sons, Harold Williams, Jr. and Kenta Owen Williams; daughters, Dianne Allen and Vanessa Rhue and husband Laron; sister, Joann Brown. He is also survived by 9 grandchildren and a host of nieces and nephews.. He retired from the United States Army with 22 years of service and then worked for the Department of Defense for another 20 years before retiring again. The Williams family will receive friends between the hours of 6:00 PM and 8:00 PM, Thursday, January 31, 2019 at LaFayette Funeral Home, 6651 Raeford Road, Fayetteville, NC. 28304. In lieu of flowers, the family has requested food trays or plants to be given the night of the visitation. Funeral Services with military honors will be held on Friday, February 1, 2019 at 2:00 PM at Sandhill Veterans Cemetery, 8220 Bragg Blvd. Fayetteville, NC 28310. Speaking at the service will be neighbor and a family friend, Wayne Stewart, co-worker, Jon Shields and family members.